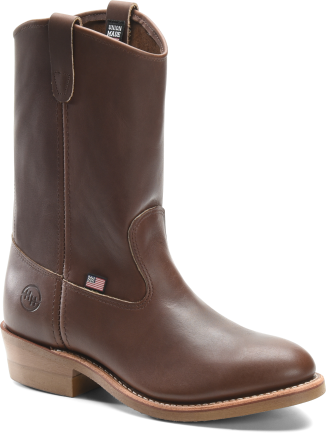 Men's 10" Domestic Ranch Wellington. You’ve worked long and hard to make your farm beautiful, so treat yourself to a Ranch Wellington from Double H. A very hard working boot, highlighted with Dark Velva leather and an ultra dependable outsole. If you want a boot that you can be proud of, look no further.